Organisations ask a lot of their operational and line managers. The day-to-day administration of a team while also focusing on delivering business results can be overwhelming for even experienced operational managers. Functional areas such as finance, human resources, property and procurement regularly decentralise activities to people leaders or provide self-service options that also shifts the action to the manager. 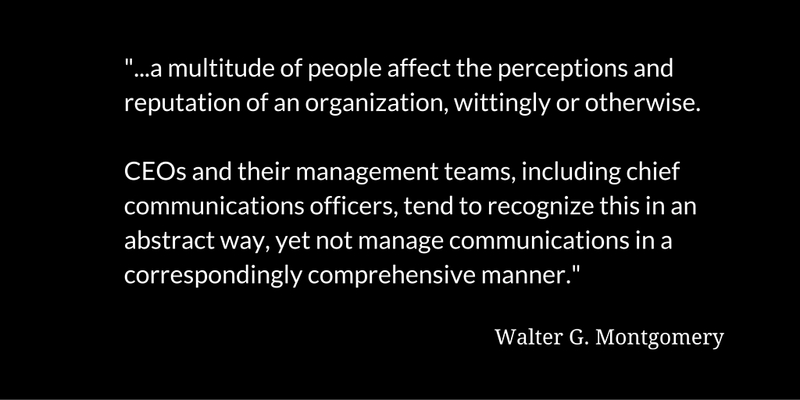 It becomes apparent why managers can struggle in their communication efforts. An employee’s immediate manager has a significant impact on their experience of the organisation they work for. Across a range of communication audits and studies, ‘immediate manager’ is cited as a preferred source of information, and yet the performance of managers is also cited as a challenge. Make it simpler for me. There are three simple tools that people managers can adopt that will add to their communication competence and increase their effectiveness in communicating with not only their teams but other parts of their organisation and their stakeholders. Organisations are complex. It’s almost a cliche to state that, but it remains an unavoidable truism as the nature of work continues to shift and organisations continue to try and deliver their outcomes in perpetually changing circumstances. The days of control and command where a manager could know everything that was important to their team are gone. Given this fact, the role of the manager shifts from being the keeper of knowledge to the provider of context. Providing managers with enough information, giving them time to digest and internalise change, and equipping them to translate priorities for their business area equips them to fulfil their role as a credible source for the team and empowers them to do it in an authentic way. “For us this means…” is the bridge between the universal messages being driven by the CEO or Executive team, or a corporate communication function, and delivering consistent yet relevant information to the parts of the organisation where change actually occurs. Think about how we usually experience the people we work with. We see them at their most normal as they talk to us day to day about their work or their weekend. We see their natural body language. Regardless of whether they are extroverts, introverts or somewhere in between, we can observe their authentic style. Now think about what usually happens for managers when there is a substantial change they are required to support. They are provided dot points, speaking notes, briefing packs or a script from the project or human resources or a change team. And then they are asked to deliver those messages. For some, this takes the form of holding the script, and ‘seizing up’ as they are constrained in their communication style. What we see is they suddenly become “elbows-in” communicators as they clutch the script in front of them and lose their natural style. Investing in managers’ communication competence to enable them to be “elbows out” communicators, comfortable to deliver the essence of a message while not being restricted to a script that forces them to sound inauthentic delivers results in terms of credibility and equips them to be the trusted source that their employees and team members want them to be. Managers face time pressures and unfortunately too often this translates into a lack of preparation for communication. Planning communication does not need to be difficult or time-consuming. Five simple questions can help a manager prepare for any kind of communication activity. It might be the one to one meeting they are having with a team member, or it might be the monthly all-hands meeting; asking themselves the following five questions to prepare can help them hit the mark on their message and most importantly, focus on the outcome of the communication. What is the context of this communication: what is going on here, what has already happened, and how does that affect what I want to happen? What outcome am I hoping for and what will that look like? What message does that individual, team, partner, customer, or stakeholder need in order to move them towards that outcome? Given the context, the message and the desired outcome, what is the most effective method for this communication? Is this something that needs to be communicated face-to-face? What is required to support this communication activity to ensure the outcomes are achieved? This might be selecting the right place and time, determining what additional information is required, involving others in creating the communication or ensuring there is a feedback process. While simple on the surface, applying these three skills consistently can transform the quality of manager communication. Binding these three skills together is a manager’s ability to listen deeply. This includes listening to what the organisation requires them to achieve, as well as listening to what their team needs in order to deliver. At a time when organisations continue to struggle to engage employees, equipping managers to be effective communicators has a direct benefit and is far from a ‘soft skill’. Investing in developing manager capability in these four areas provides an advantage in terms of reputation, risk, productivity and engagement. I once worked in an ASX 25 company where despite there being more women than men in the workforce, only one person in the ‘top 200’ senior manager group was female. Such a chronic lack of diversity changes the quality of communication, collaboration and leadership within a corporate culture. Similarly, within the communication professions there are a higher number of women in internal and organisational communication roles (although senior roles as disproportionately held by males, as is the focus of research by IABC and Global Alliance). Too often, the biggest issue named by communicators is ‘getting heard’ by management. At the risk of mansplaining – here are some ways communicators can ensure their voice is heard. As a leader, what should you expect from a communication strategist? What a great question, and the subject of a recent post on the LinkedIn CommsScrum Group (requires membership). Having worked with C-suite, executive and Board-level leaders across a range of industries, here are some things I think leaders should expect from their comms strategists. They will treat you as a person. Trust is a process of reciprocity, but it pays dividends. Experienced comms strategists will understand that leaders are human. They will recognise that in business, an executive can seldom get to where they are without some communication strengths, but that their current positions may mean that constructive feedback about areas for improvement isn’t always forthcoming. A good strategist will seek to understand the executive’s business goals and personal context in order to develop programs that help to achieve both. They will listen. And they might ask more questions than you may be used to from anyone except the CEO or Board. As an executive, you have so many aspects of the business in your head that making connections, judgements and evaluations about your operation is instinctive. Experienced comms strategists will seek to understand your business priorites from your perspective. And in the process, they will (depending on their approach) seek to understand the ‘why’ before helping you with the ‘what’. They will build on your strengths. An experienced communication strategist understands that protecting the authentic strengths of a leader is a key priority. They will take time to understand what you are best at. This isn’t the same as never asking you to do something you aren’t comfortable with; strengths are sometimes underplayed. They will talk to you about the business, not just about communication. Experienced comms strategists are business people using communication as a driver for business results. They will ask about goals, about performance, about metrics, about culture, about competition, about risks and issues. And then they will start talking about communication. If they jump straight to the comms stuff, beware. Be clear about your expectations and in describing what a successful engagement will look like from your perspective. Be open to professional counsel with a view to building trust. Be prepared to contribute time, opinions and knowledge in the development of strategy. 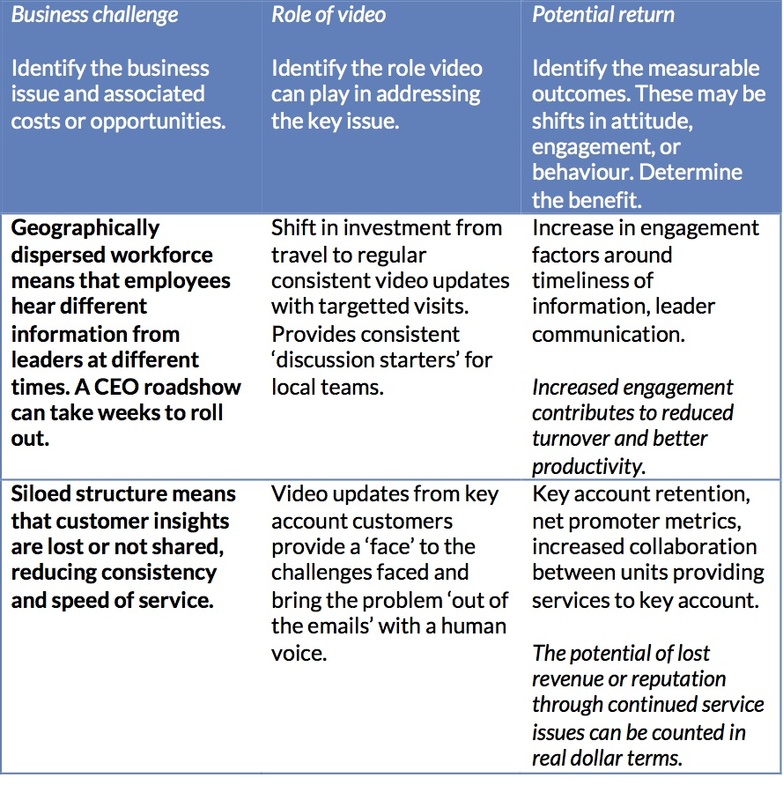 Video is an important part of the communication channel mix for employees, but building the business case can be a challenge. To build the case for including video as part of your overall communication infrastructure, cover these five points. In the last post, we covered Pain and Partners. Now lets look at Potential, Pilot and Prove. What is the current situation costing the business? What will solving the problem contribute to the business? 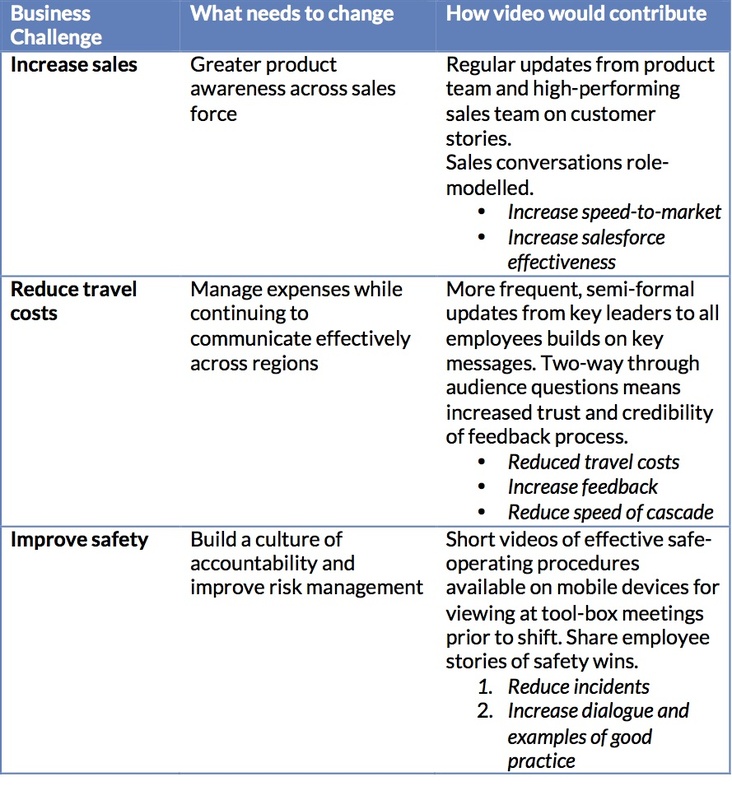 At an enterprise level, doing anything that improves communication pays dividends. Companies with effective communication financially outperform those with ineffective communication. A long-term study has demonstrated this can mean that over a 5 year period, a company with effective communication would return 1.7 times higher shareholder returns. In order to build the case, however, it will be necessary to get specific. By clearly defining the change in knowledge or behaviour, you can calculate a return. Will sales increase with better training? Will the time to learn new products reduce? Will safety improve? Will incidents reduce? What is the current cost? What would an improvement mean in terms of days lost? What is the current cost of all staff town hall meetings? Not every initiative will have a definite dollar positive outcome. Other organisational outcomes may be valuable too. However, in seeking investment for an initiative, it can be useful to target opportunities where there are both financial and non-financial benefits to demonstrate the result. In defining the potential benefits, work with your partners from Finance to ensure your calculations are relevant and acceptable in your business. Based on the problem and the potential benefit, where can you start? By clearly identifying the business outcome a communication activity is designed to solve, measurement becomes a simpler task. In each of the following examples, identifying the costs of the current state, and quantifying the outcomes provides a simple method of targeting benefits. What just happened? What changed as a result? How did people use the new approach? Effective measurement is a perennial topic in communication. While top marketers are comfortable with demonstrating traffic, leads and conversions, internal communicators sometimes struggle with clearly demonstrating the return on initiatives. However, if you have clearly identified the business outcomes, been clear about how video will help contribute to the solution, you are in a strong position to measure the impact. Analytics packages allow for detailed viewing behaviour to be measured: who watched for how long, where and what did they use to watch, when did their attention shift. These data help shape the approach and provide essential information for looking at the impact of video content. Combined with audience feedback, this information will contribute to the evaluation of a pilot. Video is an iterative channel. It grows and evolves with your overall business strategy. Great stories have a way of capturing people’s attention. If you find the right opportunity and take a strategic approach, people will take notice. You can transform a tactic – a broadcast, a leader message, an employee story – into a powerful strategic tool. Taking a planned approach to building the case and demonstrating the outcomes is the first step in making video an integral part of your engagement agenda and delivering valued outcomes to your business. It may seem frivolous to talk about employee engagement while a razor hangs over 16000 to 25000 people’s jobs*. There are around a quarter of a million people within the public service going to work today wondering what their future will be following the first Federal Budget to be delivered under the new Government. They will be wondering whether they are part of the “pain with a purpose” that the Budget is set to administer. If not them, their colleagues. If not their colleagues, those in another agency to be merged, subsumed or integrated. Poor communication during change has a substantial negative impact on employee engagement and consequently on productivity, performance and culture. Uncertainty is crippling. Major change – transformational change such as redefining the scope and remit of an agency, or bringing together separate departments – in the short term creates a range of predictable responses and an accompanying downturn in productivity. Making ‘big bang’ announcements that are not supported with ongoing change and communication initiatives. Significant change is an opportunity to maintain and increase engagement. The approaches to implementing major changes – even where it requires cuts – can provide a catalyst for the kinds of leadership and communication that build trust and strengthen the capacity for change. Towers Watson have shown how organisations that get this right see benefits in productivity, trust and capability. It is possible to communicate in a way that is humanistic and respects employees. A study by Hewitt of change and engagement during the GFC indicated that in those companies where managers were able to explain the context of the tough decisions, engagement was retained or even increased. A leaner public service will require higher levels of engagement to deliver ‘more with less.’ Yet, unless these changes are led effectively with meaningful employee communication, the support of the employees required to do the work will be eroded at exactly the time they will be needed the most. In the UK, the recession, and the bite on business and government triggered the Macleod Report, an investigation into the value of employee engagement in the workplace. Subsequently this has become a major government initiative to foster higher levels of employee engagement as an economic driver. All the Ministerial Releases that can be printed or posted on the intranets (plural) will not actually address the communication need at the heart of this challenge. During uncertainty people need more real communication, and they need it from their managers and supervisors fast. The majority of trust and engagement is attributable to the actions of leaders and supervisors, not memos. Real means two-way face-to-face communication. Dialogue, listening, and discussion are part of the sense-making process for major change. This requires planning, commitment, time and skills – at a time when costs are being scrutinised. But the cost of not adopting real communication is another workplace-generation of low engagement and mistrust. This is what it says on the tin. There are two levels of listening that are key. The first is as a leader, genuinely listen; take time to hear and acknowledge the experience of people facing change. The second is institutional listening; ensure that there are ways of capturing the attitudes, questions and concerns of employees. In environments where listening has not been high on the agenda this is a big – but symbolically priceless – change if it is done effectively. This doesn’t mean ‘just another survey’ or feedback box. It does mean engaging in dialogue about the reality of the changes. There will always be an information gap. That doesn’t mean there should be a communication gap. Realise that not communicating is not an option. Talk about possible scenarios, and talk to facts. Talk about process in the absence of details of the change. When there is nothing to update, tell people there is nothing to update. Ask questions. Or listen. If employees are reading something outside the organisation – whether in the news or on twitter – be prepared for some form of communication inside. Making an announcement then asking employees to ‘discuss this with their manager’ without equipping managers and supervisors to have next-level conversations about change sets them up to fail. Even in organisations with healthy levels of engagement, it is not uncommon for there to be a pain point at the mid-level manager. They are expected to be the local face of change, yet are also typically facing the impact of changes themselves. If it’s important to increase the focus on communication during uncertainty for employees, it is twice as essential for managers. Communication is never a substitute for strategy. If the strategy is going to be challenging, saying otherwise is not going to make it better. Although the public is accustomed to spin being part of the political discourse, spin has no place in employee communication. Discuss what the future requires, what the current situation looks like, and what needs to happen to bridge that divide. For managers and supervisors, this means taking the time to be able to understand change and discuss it. If you don’t know, say you don’t know. 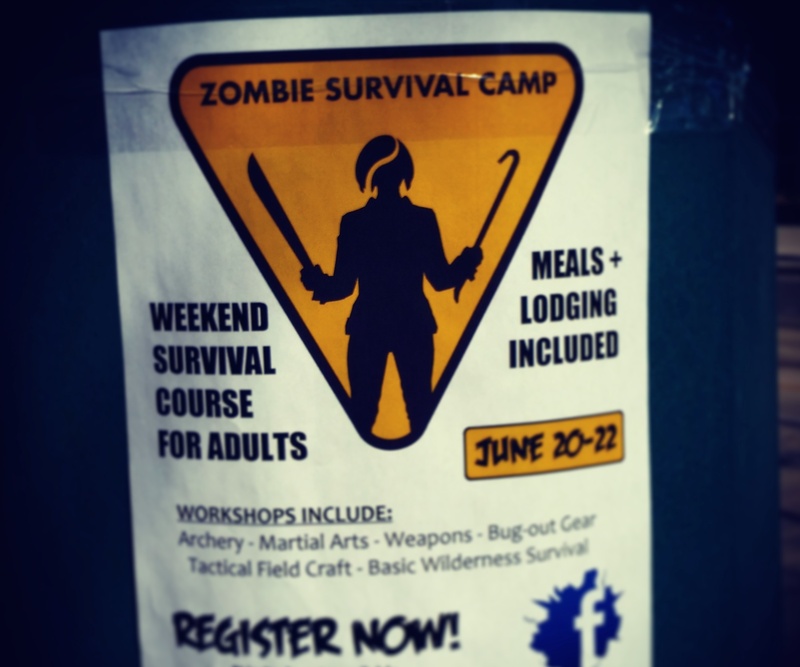 Establish links to the policy and strategic priorities you do have greater certainty about. As change and uncertainty is a feature of every industry and sector and part of the landscape of business – the new normal – rather than accepting the negative consequences, leaders have the opportunity to face into the change and use the change as a catalyst for open, constructive communication. *The Commission of Audit has up to 25000 jobs to be cut depending on the recommendations applied. Disclosure: I have provided advisory counsel, change and communication training to a number of Federal and State Government departments, agencies and directorates, both as Meaning Business and in my former role as Research & Content Director, Melcrum Asia Pacific. Listening is one of the most important tasks for any leader in the first 100 days. Today marks 100 days since NSW’s Premier Barry O’Farrell took office, and everyone is talking 100 day plans. In politics, the term ‘first 100 days’ was used by US President Teddy Roosevelt on entering office in 1933. It is a symbolic period: three months; a season. Many new leaders in organisations struggle with the balance of delivering quick wins that are based on the current organisation, not only on what has worked for them elsewhere. During these changes, one of the most important actions in listening. The challenge is for leaders to be honest enough to say ‘I don’t know yet’. The 90 day planning process is valuable because it builds in a period of information gathering and planning based on a diligent approach. In addition to being a key leadership skill, there are many ways to listen to an organisation. Visit the places where work is done – don’t summon people to head office. Small groups allow for people to be heard. Don’t gather 100 people and ask them a question. Be authentic from the outset. Where there may be concerns about an open culture, supplement dialogue with formal research such as independent focus groups or interviews, being open about the purpose and intent. In her final show as guest host of Radio Nation Life Matters, Angela Catterns convenes an excellent program about leadership. Using the recent example of Queensland Premier Anna Bligh’s performance during the Queensland catastrophes as a springboard for discussion, Angela is joined by studio guests Rosemary Howard Director of AGSM Executive Programs and Catherine Harris from UNSW. The session includes an interview with former Prime Minister Malcolm Fraser, and thoughful talkback comments. Covering social, political and business leadership, the discussion summarises a number of the themes and challenges for authentic leadership. Definitely worth a listen.